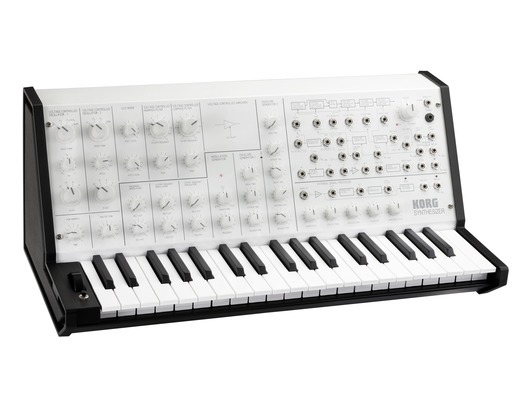 The Korg MS-20 Mini Monophonic Synthesizer is now available in limited edition white. 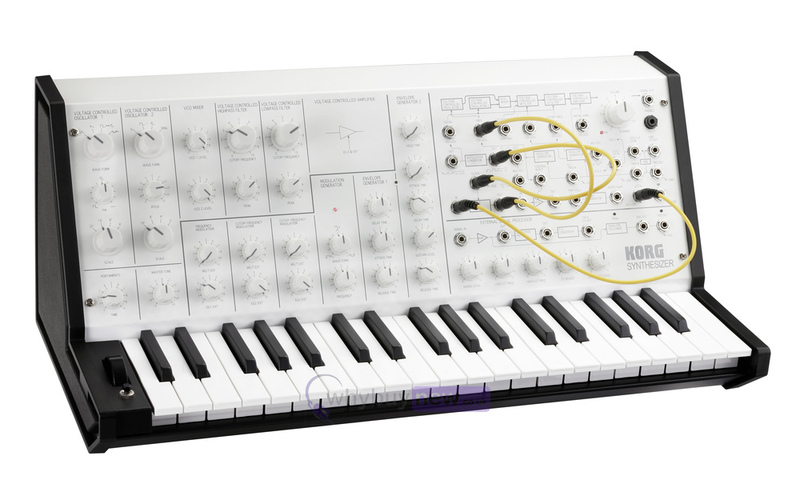 This white model is the first new colour to appear since the original MS-20 went on sale in 1978. The white version features a clean white monotone finish for its front panel and knobs, while retaining the same faithful circuitry, 5-pin MIDI, and USB MIDI of the Black MS-20 Mini. Combining a fresh new look with a vintage feel, this limited edition model will be a great way to add classic MS-20 sounds to any setup! Korg's MS-20 monophonic synthesizer, first introduced in 1978, is still a coveted instrument to this day, thanks to its thick, robust sound, its powerful, iconic analog filter, and its versatile patching options. Over 300,000 people have enjoyed the distinct MS-20 sounds from the original, from Korg's MS-20 plug-in synth, and the iMS-20 iPad app.